"CallRail Is a Valuable Tool Every Marketer Should Use"
The best thing about using CallRail has been the ability to track the source of every incoming lead we get—be it from an online ad campaign (Google AdWords), an email campaign, print collateral, magazine advertising, or whatever. Being able to accurately track the source of our leads has been valuable, and helps guide our decision-making regarding which efforts are paying off, and which ones are not. We are not even using CallRail to its full potential...yet. There's a lot more that we could be taking advantage of, and hope to in the near future. I wish there was better integration with our CRM (currently using Hubspot, but considering moving to one called "BPM'online" because that is what our customer support department is now using). Also, while I love the functionality of the "CallScribe" and Keyword Spotting technology, I wish it were more accurate. Stop thinking about it, and just go for it—you'll be glad you did! The marketing insight and intelligence you'll gain will be well worth your investment. You cannot always predict customer behavior, and we've found that many of our customers will use any phone number they find to reach us, even if the nature of their call is technical support. This would normally make it very difficult to weed out the non-sales related phone calls from the sales leads in order to determine the effectiveness of a particular marketing effort. However, using CallRail's "CallScribe" and Keyword Spotting technology along with tagging has really helped us accurately identify which calls are actually sales leads versus something else—even if they're coming in from one of our tracked phone numbers. "Best Multifunction Call Routing System"
We like the ease of use of the product when it comes to creating new numbers for new regions and applying specific call flows to route the callers. After mastering the tagging system (do the account level, not the company level), it made it much easier for us to categorize leads. Inability to text numbers by clicking on them in the iOS app. Sometimes calls that go through flows with Agents specified as the end recipient, never receive the calls. Lack of keyword tracking in text messages forces us to resort to using AI powering SMS bots instead of CallRail. If you need a platform that allows you to have a phone number for every region you do business in, CallRail is the right choice. Being able to have phone numbers for each market we do business in. The Call Flow builder is easy to use and allows us to create complex call flows in a short amount of time. The service they provide is good, but their customer support is even better. I've never had a bad interaction. Specifically, they do a good job with their support articles and implementation documentation. I'm also a fan of their live chat, but even when I've called in, I've got help in a very timely manner. Moreover, they keep it very simple and straightforward. Finally, they have a very solid leadership team that is taking the company in the right direction and fulfilling a much needed service in the marketplace while keeping it at a price point that makes it affordable for businesses of all sizes. Honestly, if your business relies on phone calls as a source of inbound leads and you need to track those for your marketing efforts, there is no good reason to not use CallRail. I would recommend them to anyone. I wish there were a few more integrations, but that will come with time and market demand. Aside from that, they do a great job at not just having easy-to-implement integrations, but also in providing effective documentation at the integrations they offer. The only other thing I'd like to see is a CallRail Academy that would offer advanced tips and training techniques for CallRail super users. I would 100% recommend CallRail to anyone considering a call tracking platform. You won't regret it. CallRail helps me identify the marketing efforts that are working best to illuminate a huge part of our clients' overall marketing results. We can also work with their customer support and sales reps to improve their skills in handling calls. "Client loves the Transparency and Ease of Use. A must have for Automotive Industry"
Being able to show call after call to the dealer, let them listen to the call recordings for quality control and also have a hand in tracking just how much call traffic they get and when is a huge asset. We give the dealer access as well as our marketing people so that at any time they see what we see. Adding numbers is a breeze and replacing the old number withing AdWords for PPC is also cray easy. Great job CallRail! Just do it. No regrets. Simple. Easy to use. Easy to connect to Analytics. Listen to recorded phone calls. Does exactly what it says it does. We are using Callrail to give a much more accurate picture of people who "click to call" or manually dial the phone numbers in our PPC campaigns. AdWords can be a bit wonky in their reporting accuracy...and moving to CallRail was a no brainer. We use CallRail across many automotive clients and all rave about it. "Save and review your customers' calls"
The analysis provided by CallRail about the volume of calls and the type of calls received gives you a large amount of information. This analysis is related to the follow-up that you can make to the calls made by your clients, that follow-up is also important to perform better future care. The statistics section provides a lot of information about text messages, customer data they have called, duration of calls ... All that information within this section. It also has a scoring system that serves to assess calls globally, this also gives information to see how the communication has worked. When you get into the program for the first time it is difficult to understand how the system works and to know the different configurations and sections that the system has. It takes a small period of learning. If you manage multiple users at the same time it is somewhat complex, since you need to use several browsers for it. A system like CallRail allows you to better serve your current or future customers. It is a good way to check how your company's attention is being given to your customers and to be able to solve any errors that may exist. It has helped us to know the data of the calls in a more integral way. Knowing all the details helps us to see how certain marketing campaigns work in the sales section and also in the customer service center, to assess the quality of the service our current customers are receiving. The reports of the application also tend to analyze carefully, since many times we have made future changes in the telephone service to spend less time and continue to give good attention in the calls thanks to the information we have obtained. "Data from calls is fantastic!" We use CallRail heavily for call tracking across all of our 40+ locations. I think I have more than 1,000 tracking numbers in CallRail. We love the call recording and especially the automated call tagging based on what the AI hears in the call. That's a super way to help with reporting down the road! It is a little hard to manage users. I just wish it was faster. But this is really a small complaint. It will do more than you think it will. Consider CallRail for things like calls flowing to sales people's cell phones or as an emergency hotline. And ALWAYS use the voicemail transcriptions. They are totally worth the cost! Mainly, CallRail gives us a glimpse into how many calls we get from different online and offline sources. And now we can connect CallRail to HubSpot to get better data about individual leads. CallRail makes it easy for our sales department to track our leads from our different mailing campaigns. It provides call recording and shows you how much the agent talked versus the client. I dislike that they put the Lead Center Tab at the bottom. I feel it should be at the top, right-hand corner to be clear and visible. When I first began using CallRail, I had a hard time locating the leads and phone call history. If you have multiple 1-800 numbers to track campaigns, CallRail makes it easy for you to track leads and improve sales numbers. CallRail allows us to track our leads and to figure out which of our mailing campaigns are more successful. It allows our sales department to improve on their sales skills by recording the calls and seeing the percentage on how much the agent spoke over the client. It also helps us track how many calls we got during the day. The information on where the call originated has been very helpful for us in tracking our marketing efforts. I've never run across another tool that will allow us this much insight into what web and/or print marketing efforts are paying off. We use the plugin for our wordpress website and it places a CallRail number in every location our "official" number appears on the site. We've also used CallRail numbers for print advertising and this has allowed us to track calls coming from those print pieces at very low cost. There's really nothing that I dislike about CallRail. The reporting could be a bit more robust perhaps but it is a solid product overall. Call tracking. CallRail has allowed us to determine which marketing efforts are working best and focus on those. "Easy to use, zero downtime, and decent analytics." I like the detailed analytics, and the ability to easily (one-click) integrate with other products we use such as Hubspot, the most. No outreach from our Account Rep. It's a very "you're on your own" style system. Support is available if needed, but not very proactive reach-out on their end. Make sure to evaluate all of CallRail's competitors to ensure you're aware of how it compares to the others in this space; comparable products such as Invoca may have different sets of features that meet your needs. We can now see where our phone traffic is generated from, i.e. Internet (organic vs paid), what pages on our site convert the most, what facebook ads are generating the most conversions, etc. - it helps us determine where to apply our marketing spend. 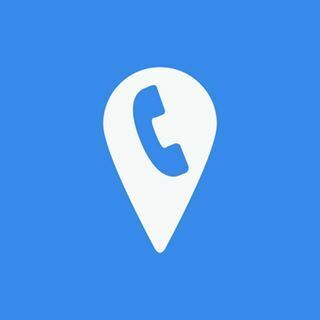 "Great call tracking for cheap"
Unlike other call tracking companies, this one comes equipped with so many options for multiple campaigns, office locations, and numbers. I like that you get recordings and keyword spotting. I don't like that it doesn't track Google maps calls (unless you use a unique number - and that can create problems). I would use this over call tracking from Wordstream. I would also say that for $36/month, the data is invaluable, and can really help you shave unnecessary spending on marketing that doesn't work online. I would also say go through their team and make sure that everything gets set up right with google analytics and adwords, social accounts, and your phone number. Make sure to test test test! My boss wanted to know where people were calling from when reaching the website, and which avenue was worth putting more money into, whether it was organic, paid, or social. "Overall, our experience with CallRail has been great. " It is nice to be able to hear how our inbound calls are being handled for our sales management process. It allows insight that we didn't previously have. I liked how easy it was to setup CallRail and if I ever want to make changes to my account by adding different tracking numbers, removing some tracking numbers, or adding/removing companies, it does not require a hundred different steps which is very nice and makes my job easier. I dislike the current way the callscribe is setup. It would be nice to not have to pay to have the calls transcribed because we send them to our clients and a typical phone call for them is at least 8 minutes. Take advantage of your personal account customer support person why you have them, so you can truly learn all about callrail and how to use it before your time is up with them. We are solving our lack in the sales process. Before, we were not able to hear how every inbound phone call was being done, but now since we are we were able to discover the holes that needed to be filled. "Easy, Cost Effective & A Great Time Saver"
This is a great solutions for so many different problems. It tracks marketing calls, can be used as a call routing for a dispersed workplace, and so much more. Highly recommend! Problem 1: needed local numbers in multiple cities - solved. And if I miss a call, I can call back using CallRail from that same number. It is so simple. Problem 2: needed cost effective "company number" to route calls. I was able to set up a main toll-free line and route to different people giving the appearance of a larger company that is not dispersed. Problem 3: needed to track effectiveness of different campaigns by using numbers I could assign to each campaign - I can look at reports and see exactly how effective things are. "Making my tracking more and more accurate." Increased information to help us make better business decisions regarding adwords. Allowing us to focus on the keywords that are actually driving phone calls and leading to actual sales. In the past weve been pausing campaigns that have had a negative impact on our inbound calls as we were never sure which campaigns and ads were actually making the phone ring. We are still just getting started with this product but are looking forward to more and more accurate details as time goes by. I also like the ability to go in and listen to calls that have happened as I am sometimes able to call customers back and get orders that were otherwise lost by making them offers that they didnt receive while on the phone with out rep in the 1st place. Wish the message prompt was a little more delayed.. when we forward from one number to another.. we dont hear the message at all and forget to enter the values. Getting proper revenue tracking from adwords. Were still in the early stages. Being able to see where customers are calling from is a great benefit for local insights. Minimum numbers for a particular area code. I would like to be able to use our pool for multiple areas without having to expand the plan. We were missing some call conversions with our PPC campaigns, and call rail has made our reporting more accurate. We can also tell the source of calls. The recordings have provided insights into what our user experience was, allowing us to make adjustments where needed. "Great quality call recording service"
Great quality. Never hard to understand calls. Whisper at beginning of calls works great and qualifying leads works great. I wish there was a bit more to do with the calls after qualifying them. I also wish it were easier to record outbound calls. Use the qualify leads function, as well as the notes tool. We are able to listen into our client's follow-up process with Facebook and Google Adwords. A lot of our clients are not trained on following up with Facebook ads consistently and effectively, so listening in has helped us asses where they need help. Additionally, we are able to identify if there is a problem with our ads. Ex: users are calling in about something that the office does not offer. "Complicated Call Tracking Made Easy"
Their resources and instructions are easy to find and help guide you through all implementations. TONS of customization options at no extra cost - call flows are amazing, call tagging is awesome. There's tons of functionality - enough so that I'm sure we're only using 25% of its capabilities. I have used CallRail at two agencies now (helped pilot at both) and it was a fantastic tool from the beginning for both. Would like to have the ability to have more than one pool of numbers per Google UA account, or the ability to have subaccounts - I run into situations where a client needs a call tracking setup on a landing page and a website, and those have to be two separate sub-accounts. If you're comparing options make sure you are comparing apples to apples on functionality. CallRail throws in a lot for free that isn't obvious until you are in the account or if you read through documentation extensively. We use it to better attribute digital marketing leads for our clients, or to solve operational issues through call-routing. Easy to implement the solution. There was little to no technical development needed to make this happen. The call recording feature is a great bonus to help the teams dissect what might be going on in a campaign. We listen to these calls as a team for high profile campaigns that may be underperforming and they bring lots of valuable insight. The interface is a little clunky digging through things, but nothing that can't be overcome to use the platform. The speech to text feature really doesn't work very well. If the call has any hint of an accent, which is typical in a global business, it butchers their conversation in text. We simply do not use that feature. "Integrations & Staff Made Work Easy"
The integrations that are available made set up a breeze. I had to set up 26+ accounts and without the integrations for Wordpress, Facebook etc I would have lost time. We also had a dedicated support agent or sales agent that kept reaching out to us to make sure everything was going smoothly. Accounts. It just ultimately caused a few problems. Our clients needed call tracking— even if they didn’t know they needed it. They had no idea their teams were not answering the phone during certain times, or that they were getting calls from marketing efforts. It was a huge help. "Call Rail is the Only Call Tracking to Use"
Callrail makes it easy for beginners just looking for data and also for experts needing to take call tracking to the next level. They have an easy-to-use platform that allows for simplistic call tracking implementation. Honestly, I haven't really had any issues at this point. Read through all the capabilities and apply them to your projects. Callrail can be straightforward call tracking, but you also can do some really cool stuff with number pools, automation, analytics, etc. Lead gen is a big deal in digital marketing, but understanding how those leads are converting is the final piece of the puzzle. With Callrail we can see how people are engaging with the brand across the web, and turning into clients over the phone. Callrail is amazing for running digital marketing campaigns. We use this on many of our clients, and the reporting is very user friendly. Also, tracking codes can be placed on the site so that you do not run in to issues with Google NAP. Callrail is amazing, and easy to use. However, I know that in some countries people have reported issues of it not working properly. In my experience everything has worked great. This is a must have tool for all digital marketing experts, and any and people who want to track their ROI. We use callrail to track our clients SEO efforts. Adding call tracking has been extremely beneficial so we know which efforts are the most profitable. I have found it to be an invaluable tool, and the support has been amazing. "Invaluable for any marketing department or agency"
The level of tracking abilities that not many other types of software can compete with. It's really good at providing unique #s to add to physical items (we don't use that much) but in combination with our website lead trackign capabilities, overall it's just a great software! There is not much to dislike. I think when we started they didn't allow the ability to submit individual payment methods for your clients without making separate accounts but I believe that has changed since. Just do it. It's worth it. Tracking calls, lead source, first callers, contact forms, etc. The ability to compare all sources from one dashboard including physical promotional materials. It's a great great software. "I love CR, especially your support team." In general, CallRail is one of "must-haves" for the agency I work for. I am a Data & Design manager who takes all the analytics data into the design consideration, so it is really important for me to know what is going on on the calls. Call data will be really hard to track without CallRail. But, the most impressive thing about CallRail service is its support team. Every time I stumble upon some issues, your team is at it lightning fast and pours all the effort they can to solve the issues. I usually go on the live chat and they are so reliable and informative. That's what I like about CallRail the best. There are actually not much I don't like about the service. I think the service is simple enough to handle without googling so much. I like the simplicity of it the most. If you have at least these two questions below, CallRail is the right software to use. As a digital ad agency, it's always a challenge to track all of our advertising effort paying off offline. Also, even though we are doing a good job, you never know if the client is playing their part while answering the phone. CallRail gives us the ability to solve these two fundamental problems and come up with better digital ad strategies. "Good service that continually gets better"
The ability to track calls and the weekly reports on what is happening. Is easy to get more tracking numbers, and deep reporting on data. It's somewhat easy to realize the results of it as you'll start getting information quickly. The set up process is not the easiest and sometimes the support articles are not the best. Some features are very complicated and likely require developer knowledge or help with someone very familiar with the platform. As google changes a lot, the step by step guides for adwords need to be updated for the new interface, as we sometimes will have to search to get the help we need. Setting up multiple numbers and tracking could definitely be easier, a massive easy way to deploy the numbers and be able to track them via a spreadsheet interface or something else. To track where phone calls come from, benefits wise, we understand now where calls are coming from. This allows us to know where to allocate more spend or where to reduce. We'll know exactly where we're tracking and what is happening with the costs in those. Thank you so much for your feedback! We appreciate you being a customer and want to ensure we offer support articles that will guide you through set up with ease. If you're open to it, I'd love to continue this conversation to get a better understanding of which articles you found might need improvement. Feel free to reach me via email at yara@callrail.com with the articles you saw. Thank you again for using CallRail and I hope to chat with you soon! "Easy to use with some great features!" I like how easy the UI is to use in CallRail. Everything has been very intuitive and our team is now using features more and more. We use RingCentral for our phone system and there seem to be some integration issues. Often when a call is done the sales team does not get the prompts for them to tag a call or to enter a value. We are using our many different numbers to get a better understanding of how well the marketing campaigns are preforming. The sales team is also using it as a CRM, making notes on customers they talk to and tagging customers that they need to follow-up with. "Does Exactly What Is Meant To Do"
The ease of use of the portal. Can literally get a full tracking number up and running in under 60 seconds! It's great to be able to see the actual keywords that are the converting ones. It's helped save our clients budget that can be used for the better converting words. 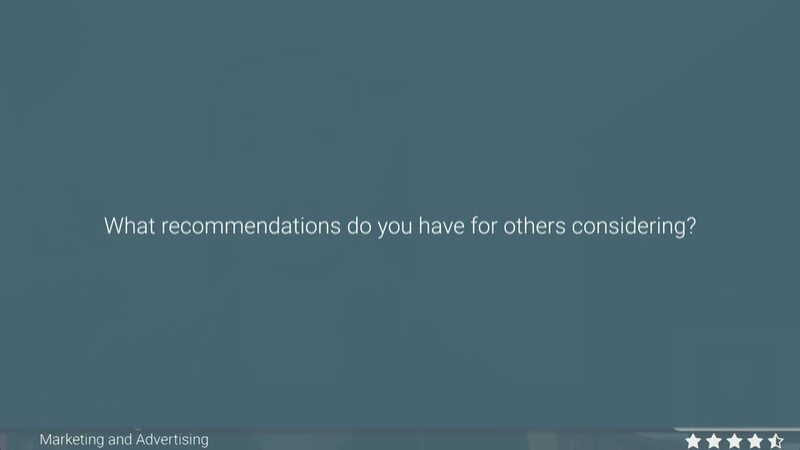 hmm, good question...I dislike your competitor's user portal haha. Just try it, if you're using any other platform, you'll see the difference in its ease of use and speed to implementation. Can track PPC performance using the number swap feature. I can use this to tell me what the converting keywords are in Google Ads too! Straight forward interface, easy to set up and track your calls. Great for seeing which marketing channel is getting you results. I use it to record calls for future follow up or help in transcribing a conversation that I didn't understand during the call. I can't think of anything I dislike about Callrail at this moment. Give me some time and I'll think of something for your next survey. Make sure your phone number is consistent with your marketing location. use local or 800 numbers. The ability to identify which marketing channel produces in bound calls. And the ability to review calls at a latter time. "Better than Other Call Tracking Tools"
I have used 3 other call tracking platforms. This tool provides robust features, an powerful, well-documented API, and fair pricing. Also, as a White-label agency, we receive a Client Success manager that is responsive and helpful. Finally, it provides us the ability to apply our standard materials mark-up to the service, turning the service into a revenue generator for us. We haven't had an issue yet, except perhaps we had some issues with the white-label billing initially, which was resolved quickly. If you are an agency, consider investing in the White Label option. Your clients will thank you. In addition to the standard call tracking features, we needed a tool that could provide us quick and easy access to the data -- calls, transcriptions, tagging, etc. We were able to quickly deploy a custom solution for our customer using their well-documented API. 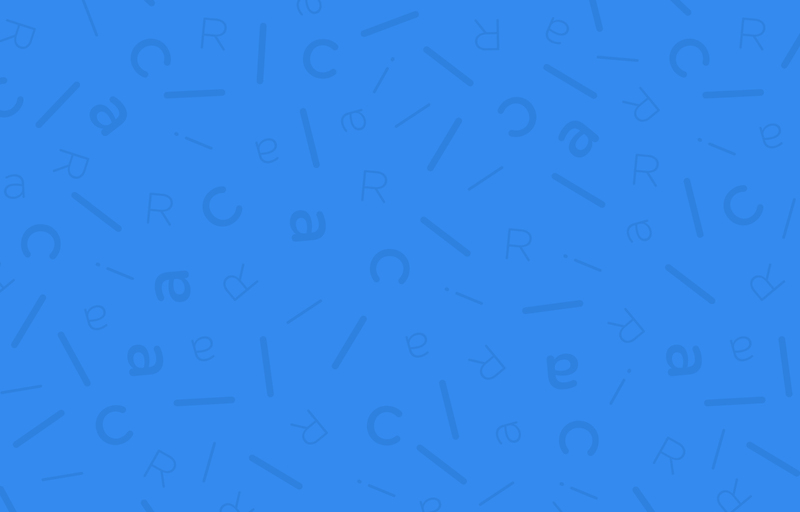 "Excellent Tool for Agency Attribution"
CallRail has completely changed the way our agency tracks call and form fill attribution form our Paid Search campaigns. The data is easily accessible and can be tailored to the needs of each specific client. Also, CallRail has one of the most responsive support teams we have ever worked with. Initially, we ran into a few roadblocks with reporting for groups of companies but our rep has worked with us to find temporary solutions for us while these are being built out as solutions on the back end. This product is great and committed to evolving and growing. I highly recommend them as a call tracking provider. We are using CallRail for SEM call and form fill tracking for a very large book of agency clients. It has streamlined this process and given us much better insight than we had previously. The ability to track calls and tie it to analytics. We were able to give our clients better ROI and reporting from online advertising by tracking phone calls from the web, social, search and maps. Not much really, have been impressed with the product. We have used it for a number of scenarios and it has worked in each case. It is difficult for customers to understand the tracking numbers and can be a bit difficult to sell due to that, they get concerned about their number being changed. We are a web technology firm so there is some basic technical knowledge. Integration is simple, analytical integration is a bit more advanced. Analytics and quality control. We had a hard time proving that phone calls were coming from online advertising, SEO and social. We also have no control after the calls arrive. Tracking calls and listening to calls for quality control has helped our clients fix that problem. "Best Customer Service I've Ever Seen!" I rarely (if ever) leave reviews for companies but I've received unbelievable support from CallRail. I've called them throughout the day and have never had an issue reaching a support rep promptly. The reps are all polite and have great platform knowledge, and when I experienced a complicated technical issue that I thought would take over a week to solve, they resolved it in 2 hours. Would 100% recommend them. Nothing I dislike so far - the platform is great, user experience is great, and support is great. 100% would recommend it. The platform is great and support can help you to quickly resolve any issues you may experience. We're using CallRail for call tracking for our ad campaigns. We really like the dynamic number insertion feature and are using it to track the source and keywords that are driving our calls. It was really easy to set up callrail on the website and for google analytics/adwords. The simplicity of the process was what I liked at first. Getting the recordings of new calls coming in has been helpful for quality assurance as well. Plus, if you have any issues, their tech team is on point. Most importantly, is very easy for me to track the ROI for our website and social campaigns. I wish it could capture Google Maps calls, because I think we get most of our business from there. An easier way to track Google Maps calls without changing the "main" number. Perhaps connecting Google My Business Stats. It has significantly reduced the amount of time I spend tracking where internet calls come from. "Lots of Features but they don't always work"
I like that there are features like call flows and special set ups for sending data back into Google Analytics. There are many things you can do within callrail, you just need to know how to set them up properly. There are features where you can score calls and it lets you thumb up or down the system. They have an app which could use some more help, but it gets the job done as of right now. Not many clients ever use it. I do not like how calls are consistently not connected with the number we are forwarding to and how callrail does not tell their customers about downtime. They also will have issues with their platform and you are passed between reps that barely know the system. Expect to talk to at least 2+ people per issue. I don't like that I am charged per minute for calls and how expensive my bill was with them. I had to switch because they didn't want to help lower my costs with them. Once I was ready to go and porting numbers out, they tried reaching out to me to get me to stay. It was too late at that point and they wouldnt respond by email. They wanted to only do a phone call. Considering looking at other platforms like PhoneWagon and compare the customer service. The ability to track all phone calls. I’m so sorry to hear that this has been your experience. We'd really like to see if there's anything we can do to rectify the situation. If you can, would you mind sending me an email with the email associated with your previous account to reviews@callrail.com? Seems that numbers are recycled quickly - probably around 5-10% of our call volume is for previous advertisers that had a number in their pool. I don't have enough confidence in the platform to use a dedicated number on a printed piece or offline advertisement that would not be easy to update. It's a great option for SMBs, or enterprise users looking for a "cheap and cheerful" solution without investing significant dollars to go with a larger player. The tool is effective, simple to use, and reliable. From an implementation standpoint, it's extremely straightforward. We deployed via Google Tag Manager and had no issues with the number swapping on both our webpage and Unbounce landing pages. We are using Callrail to gauge the efficiency of our digital marketing efforts - we use dynamic numbers to track performance of various channels and campaigns. "Bit of a learning curve, but worth the effort"
The customer service is awesome, every time I've had a problem or an issue they've been really patient at helping me get the most out of the service. Try it out, and take advantage of customer services to get everything set up. It helps me optimize my campaigns with the black box of call attribution. I need to be able to justify to my clients that *my* efforts are paying off, and this allows me to show them exactly where the phone calls are coming from. "Easy to use and exactly what we need"
I’ve been using Call Rail for about a year now and it has been a valuable tool to listen into calls for our clients and know where we can help them improve. It’s a good part of our value stack. Nothing at this stage - but I would prefer more numbers included in the plans and minutes as there’s quite a big difference between US plans and Australian plans. We can listen into calls for the campaigns we run for clients, provide their teams with constructive feedback and help them cover missed sales opportunities they would have otherwise missed. Call rail has made it very easy for us to track conversions that come from phone calls. I love that we are able to flag which calls were relevant and which calls were irrelevant. I wish call rail had a feature where you could identify key terms and automatically identify this as a conversion. It would also be nice if we were able to track a conversion value from call rail. I like how easy to setup the service was. I love the configurability and I think the pricepoint makes it very accessible, even to small companies like ours. I also was thrilled at the level of service I received when I had a billing issue. The dashboards, especially a few months ago, were rather confusing. Settings were /(sometimes still are) somewhat buried and inaccessible. Its got all the features you need at an appropriate price. Good, solid software and service. We are tracking calls to retail stores from our local retail web marketing platform. We've been able to see how many calls our platform generates for our clients and from what area. We've also been able to provided more sophisticated call workflow than what our clients were using previously. "A great way to track calls and establish ROI. " We work with customers who are getting a lot of phone calls, and it's important for us to know where those calls are coming from. We want to establish the fact that a website can be a great place to generate leads and phone calls, and CallRail helps us do just that. We use it for PPC and organic tracking, and we're able to tie back revenue directly to those streams. We can also create 1-800 numbers, which is create for clients who are looking for more of a unique branding. The reporting can be a little trick to get a hang of, and the names that come through attach to calls can be unreliable. I often have to use other tools, or Excel to cross compare leads in our database with the information coming in through CallRail to really prove spend or ROI which can be time consuming. Make sure you test your set up to make sure you're doing it correctly. We've had instances where we were double tracking calls in AdWords and CallRail, so really read those instructions and reach out to support if you have the time. We are doing more with the phone calls instead of just letting that phone ring. We're determining where we should be focusing our time, and knowing where phone calls are coming from allows us to dictate strategy a little easier. Call rail allows us to measure some of the campaigns that we are doing across all mediums. We can place numbers in all our ads and know if they are being seen. That there is an additional charge for toll free numbers versus non toll free. In today's world of cell phones and non linear phone charges, it seems wrong that there be a charge on one line and not another. As a non consumer site, any tracking that we can get is valuable. call rail has allowed us to gather more information about how consumers are interacting with our ads. The best feature is just how easy it is to set up and deploy. The interface is extremely well designed and user-friendly. Honestly, there is nothing I dislike about the CallRail solution. It checked off every requirement we had for a solution. We did a lot of research and CallRail was able to provide all of the features we were looking for at a price that was far less than the competition. A CallRail rep walked us through the setup process which was incredibly easy. Creating a new tracking number is simple and takes little time. The reports are very insightful and provide all of the data we required. We are tracking leads to our advertising partners. We are now definitively able to show our advertisers the benefits of advertising on our platform. "CallRail for Marketing and Anylitics Review"
Call tracking/analytics and that they integrate with Podio. Also the user interface is really simple and easy to understand. The co-pilot feature being in the web browser and that there is no softphone app. I have to use a base phone system/Voip provider along with CallRail to make up for this feature not being up to speed with what our business needs. I would recommend you use another base phone system if you have more than a handful of employees. Placing outbound phone calls using CallRail isn't the most effective and we ran into challenges. Additionally, the mobile app could be improved along with the ability to save contacts like most other phone systems. We are using CallRail to sync and push data into Podio our CRM/Communication platform. Additionally CallRail is great for marketing tracking and analytics but as a standalone phone system there are some challenges using the co-pilot feature. "Call rail is a Must Have for any marketer! " I like the ability to have multiple tracking numbers and it its very easy to setup and the customer service is great! It's also great that you get a 14 day free trial to see if it fits the needs of your business. Online analytics is a great thing for online and offline marketing. If you have the need to track which marketing piece if doing the best and phone calls can tell that to you, then call rail is the service you need. I know MANY professional marketing companies that use Call Rail. On the app for iPhone when someone leaves a message, you MUST have your headphones in to listen to it. It will not play through the phone speakers. I have had difficulty setting up the last few numbers. I have had to call customer support to activate the numbers. Not sure what is happening. When I hit activate, nothing happens. I would recommend using call rail for your phone systems. If you have the need to track your marketing campaigns online or offline. Call rail can do it all. They can sync with google and every detail that you would need is trackable. In marketing, the ability to track your marketing is everything! You can now track every piece of marketing with a different number and you can then see the effectiveness of each marketing ad you do. It solves having multiple phones. I can have 10 phone numbers with only a small monthly fee. I like having all the numbers in 1 centralized location where I can visualize all my marketing campaigns at once. "CallRail is the leading Call Tracking & Recording platform, with a few small flaws." Try the trial, its a great way to learn and understand how some of the more advanced features like call pools work. You know will quickly if its a good fit for your company or agency. We are using your platform to gain insights into our clients online and direct mailing campaigns and provide better insight how it all ties together. We have realised as much as we love online marketing, direct mailing is still hugely effective in some use cases and demographics. "A "must" to run your campaing the right way"
If you're running a campaign and you need to track all your calls, record them, create call flows and all that you can imagine, CallRail is what you need. Excellent prices, super intuitive interface and you can give access to your client and whitelabel everything! Give it a try, you can use the platform for free for 14 days, after that you will fall in love! You can track all your calls, record every conversation, share a spreadsheet with the recording with your clients. You can also link your account with AdWords. You can add a mini script to your website and every phone number in your website will automatically change to one of the numbers you have in your pool. This is the platform any marketing agency should use. If you are selling PPC to your clients, this is the best investment you can do from the day one, believe me, your client will love this as much as you will. There is no way to go wrong with CallRail, and the support team is the best support team on the internet. Now we can track all the calls, go over the recordings to do quality assurance of our reps, we can call back and the call will go through the same number we choose, I can even call from my phone! "Affordable Call Tracking with a Robust Feature Set"
I have used several different call tracking tools to prove the ROI to my clients but CallRail has been the best to use from a UI and functionality standpoint. The large number pool of different area codes makes it stand out vs the competition. It also has many integrations including facebook google WordPress and also can let you integrate it with the use of an API. The one thing I think they could improve is how they treat reporting for cross-device calls without having to make several numbers with different area codes. There are many call tracking solutions out there but only CallRail has support within the platform ease of use when creating new numbers ( you will never run into an issue where a number is not available) They also let you port your current number over for a small fee for clients who are worried about changing their number to something different and putting it on their site. The number pool is also vast so when looking for area codes you will always find a number that works. It has tons of integrations with Facebook Google and Wordpress. Stop reading this and go sign up with CallRail! Proving the ROI on social PPC website organic and other marketing has been the real key. Form fills are not a conversion for every client but being able to record and track calls has helped a lot. "A great way to hear what your customers want." I like the fact that I can listen to any call that I track and see the quality. It helps separate them into easy categories that make sense for my clients to analyze them in a easy way. Sometimes it seems that every time we add another customer or line or something we get charged for it. While the charges are worth while, I wish there was a blanket package that we could have unlimited clients for a base price. It is great with having both customers and admin using them. My clients love the ability they have go in and see exactly what we see and get their own data. They are solving the quality of calls. The calls are passed off to our clients and we do not normally get to hear what the quality is unless we ask. This is a way we can check on them without having to bug our client about it. "Great Entry-Level Call Tracking Software"
Pretty easy to setup and integrate with the common digital marketing platforms. For a minimal initial investment, you can quick get, in some cases, 2-3x the data and credit for conversions that would've otherwise not been accounted for. The pricing is a little shady since it depends on how many numbers you've enabled. Say you create a keyword pool, but then want to cancel it for a different area code. You then disable the pool, but it remains in your account, unable to be used. However, you must call customer service to manually remove these keywords, otherwise they may still be eligible to accrue costs on your account. "CallRail is a must have for everyone doing online marketing for your business! " We use CallRail for many reasons but i love it for Google AdWords and Bing Ads! It shows us the keywords that makes us the most money! Allowing us to bet better on the keywords that make our business the most money every month. This is must have for all businesses that are serious about digital marketing. I do not like that the phone number changes. Pin point keywords that make money, not just bring traffic. White labeling is big for agencies to keep their brand experience continuous. CallRail allows agencies to brand their portal so customers get a continuous experience while using the product. Additionally, reporting and integrations are phenomenal! There is a small call latency when using the system. It seems to have improved but combined with VOIP solutions the latency magnifies. This may vary based on a users connection an network. Tracking ROI on calls and true conversions with campaigns! * We monitor all CallRail reviews to prevent fraudulent reviews and keep review quality high. We do not post reviews by company employees or direct competitors. Validated reviews require the user to submit a screenshot of the product containing their user ID, in order to verify a user is an actual user of the product. Hi there! Are you looking to implement a solution like CallRail?